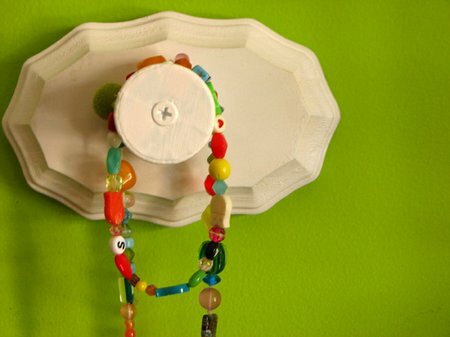 Creative people decorate in the coolest ways! While I was catching up on one of my favorite blogs I found something that I MUST have one day! 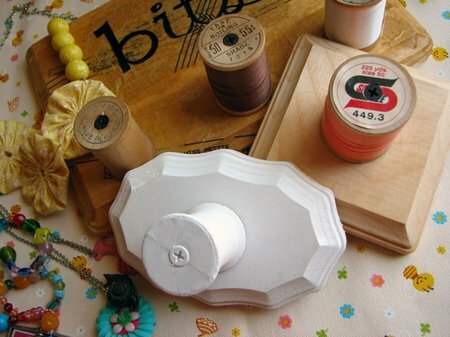 Have you ever thought of using vintage spools of thread to make a peg rack? 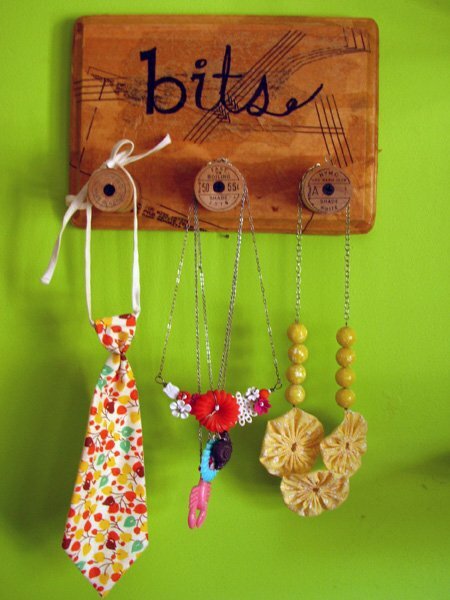 It would look fabulous in a craft studio!!! Your can read all about it in Jessica’s post. I thought the white one was my favorite, but then I saw the next one. I love them! This is one of those cheap and creative ideas that looks like a million bucks. Have fun with this one, and hop on over and tell her how much you love it. Jessica Wilson has a creative blog of her own, scrumdilly-do! She’s the queen of kiddie crafts. I saw them too and absolutely agree! Great idea.